Okay folks, here it is... 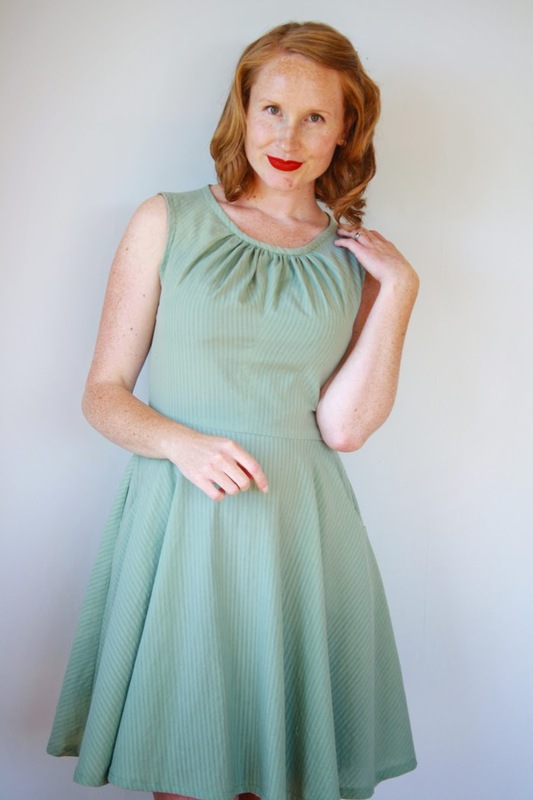 The Felicity Dress pattern is here! 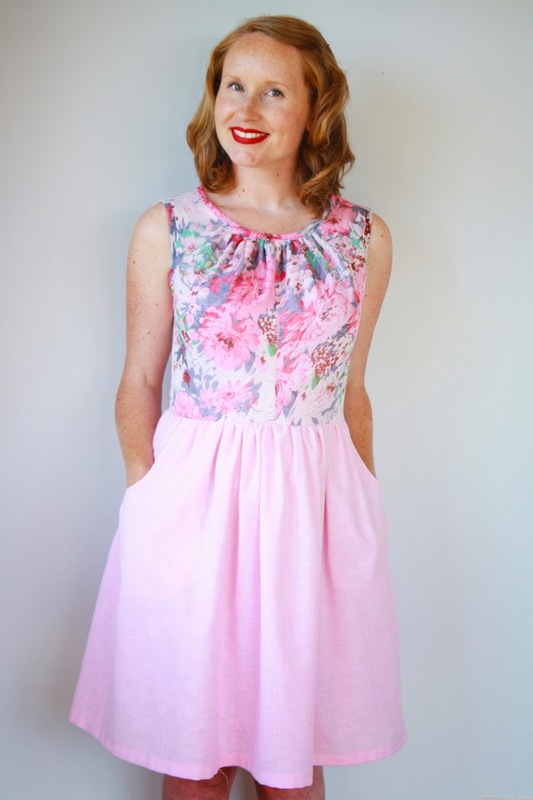 Felicity is the perfect, easy summer dress, with gentle gathers shaping the bodice and fun all-in-one yoke pockets adorning your choice of a simple gathered skirt or 3/4 circle skirt. 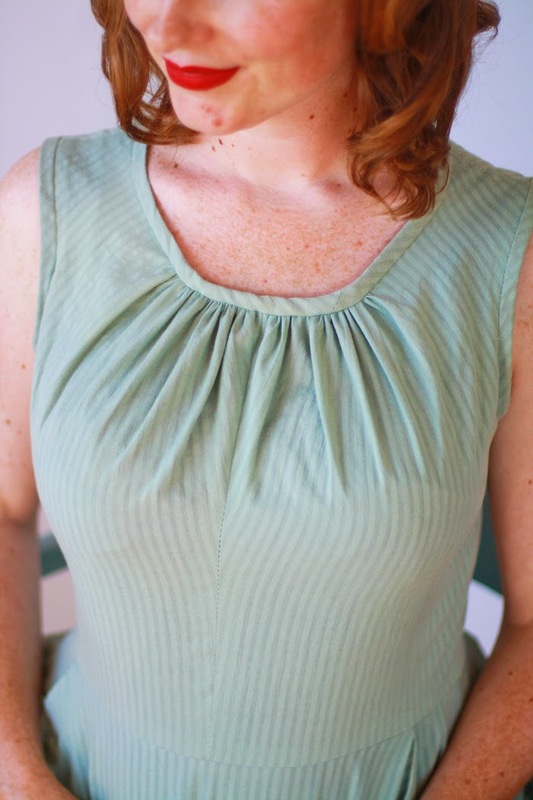 Finished with contrast (or matching) binding on the neckline and arm holes and with a lapped zip to tie everything together, Felicity is quick to make and flattering on all shapes (including baby bumps!). 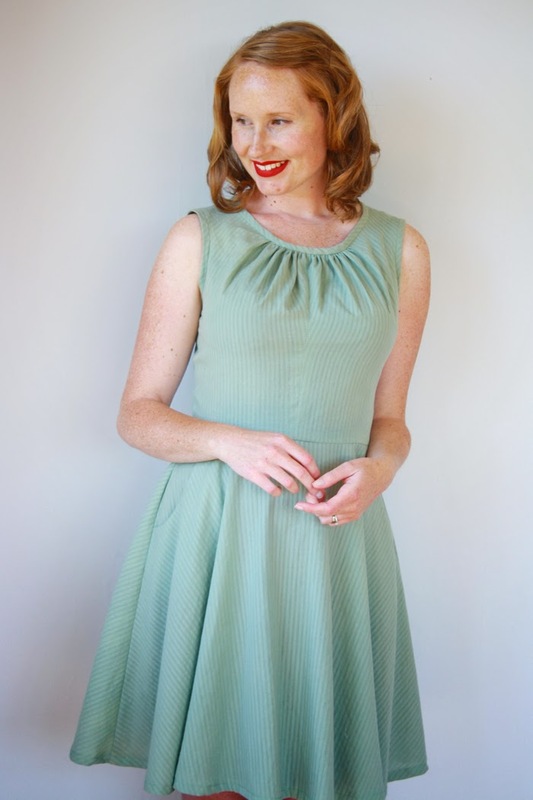 The dress is designed to be stitched up in light weight woven fabrics like cotton voile and lawn, linen and polycotton, but if you're a little more advanced, rayon, crepe de chine and silk would all make for a gorgeous garment. As with my previous two patterns, I've included the two extra sizes at the upper range, so you will get a pattern that ranges in size from an NZ size 6 (bust size 79cm or 31in) right up to an NZ size 24 (bust size 124.5cm or 49in). 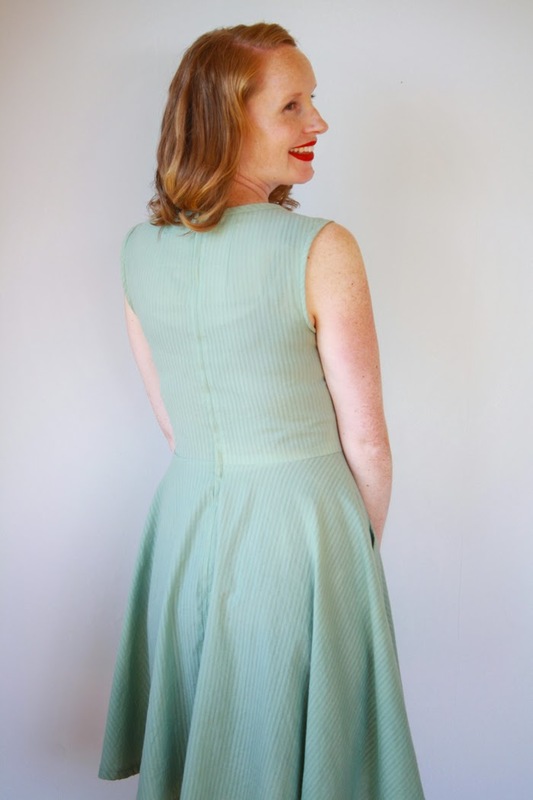 Felicity is designed with adventurous beginners to intermediate seamstresses in mind, though if you are a real beginner, there are only two darts (on the back) to stitch in, so if you're feeling up to it, I would certainly encourage you. 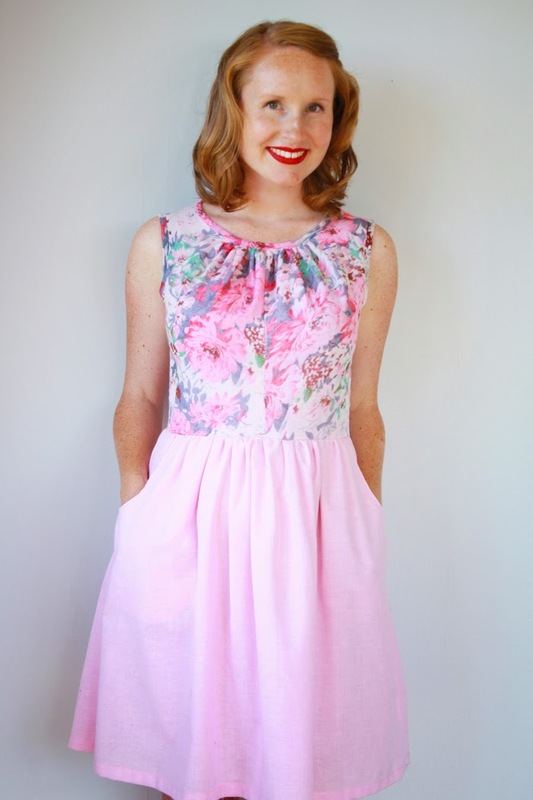 I'll be running an in-depth sew along for Felicity, with dates to be posted soon. 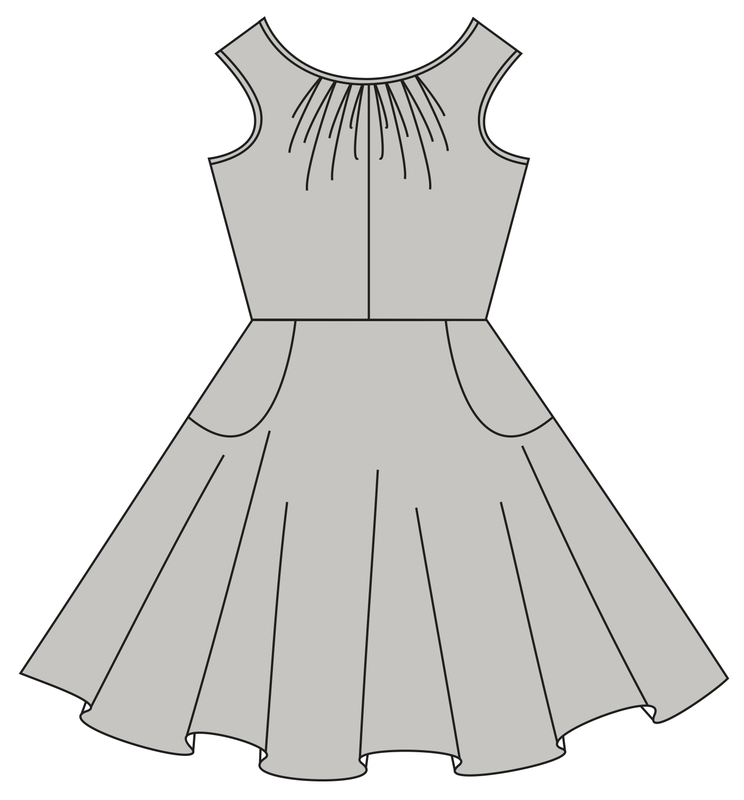 It'll include things like selecting the right fabric, tutorials for inserting a lapped zip and attaching bias binding, as well as lots of other useful information on construction and pattern modifications you can make. This idea for this dress was originally based on a vintage dress I made a few years ago but with major updates. 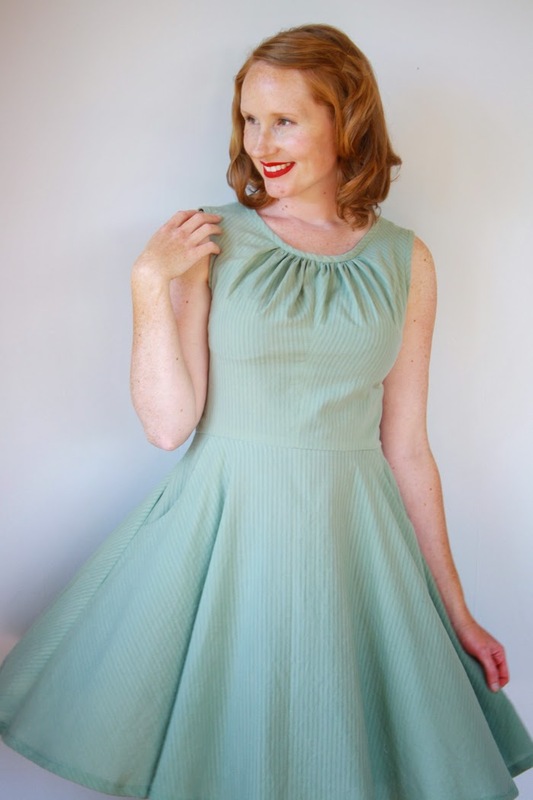 It has undergone some big modifications to ensure it fits the modern seamstress including a complete re-draft of the bodice and adding completely new skirt patterns (with pockets! Because who doesn't love pockets?). 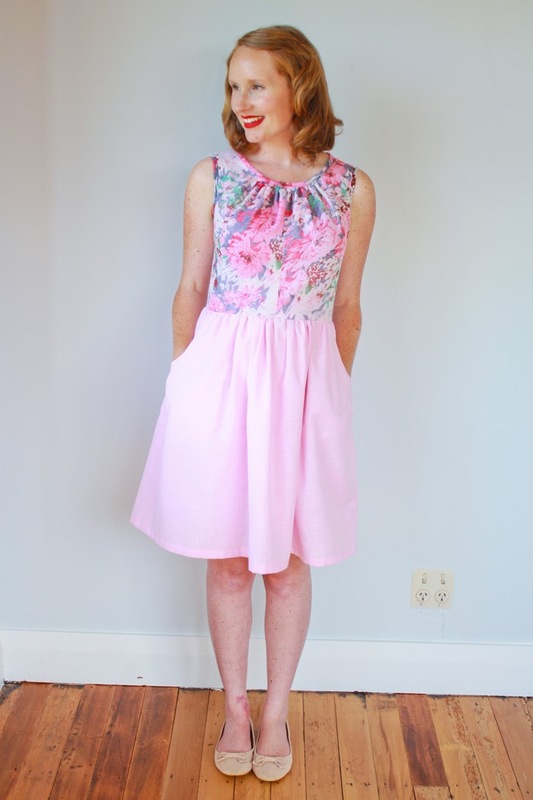 Felicity is a lovely, breezy little number to start of your spring sewing if you're in the Northern Hemisphere and something to add to your late summer wardrobe if you're down here in the south with me. Though personally, I'd be wearing it year round, turning it a cool weather appropriate dress with some tights and a cardi (but I doubt I'll fit into my samples come winter, so I've been making the most of them over the past few weeks). For a larger image of the fabric requirements and the sizing chart, please see image number 5 on the Etsy listing. I'll be back with sew along dates very soon. 35 comments on "New Pattern Release! 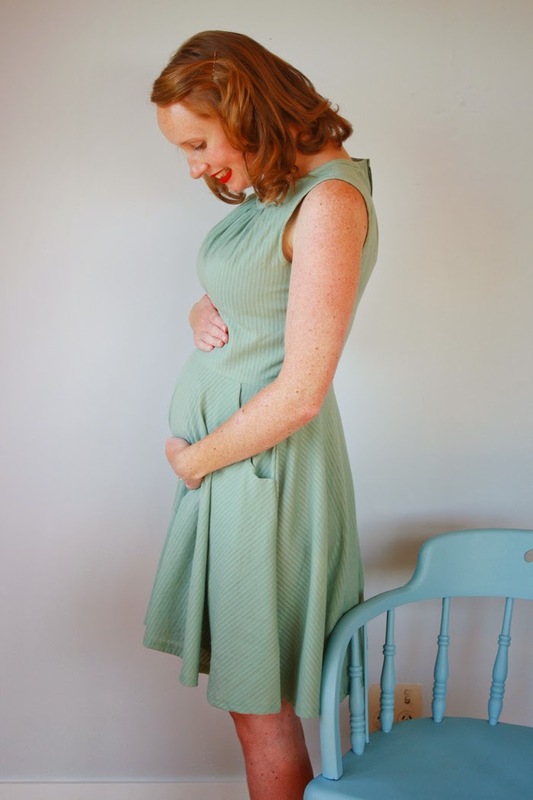 The Felicity Dress..."
Yay, so happy you like it!! Oh Jen, I love this! I think it's my favourite of your patterns so far. I can't wait for it to be spring so I can make it. Awwww, thanks :) It's a deceptively quick wee make, so hopefully once spring arrives for you, you'll be able to whip one out! Wow is beautiful! Congratulations with your design! It looks gorgeous - I'll definitely be adding it to my sewing list for when the weather warms up over here! This dress is soooo pretty!!! I really love the floral version you made. 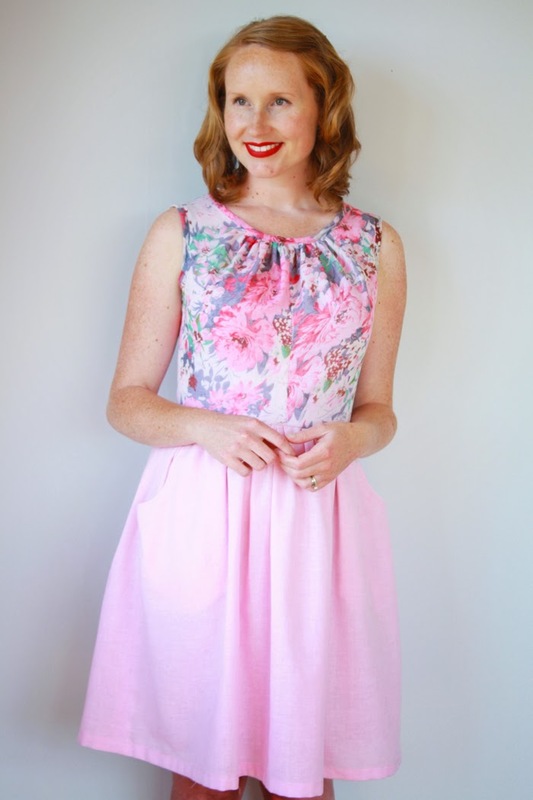 Well done on drafting another gorgeous pattern, you're a very talented lady! that dress is very beautiful...are there any photos to show the sizes 20 and up...? Oh, Jen! 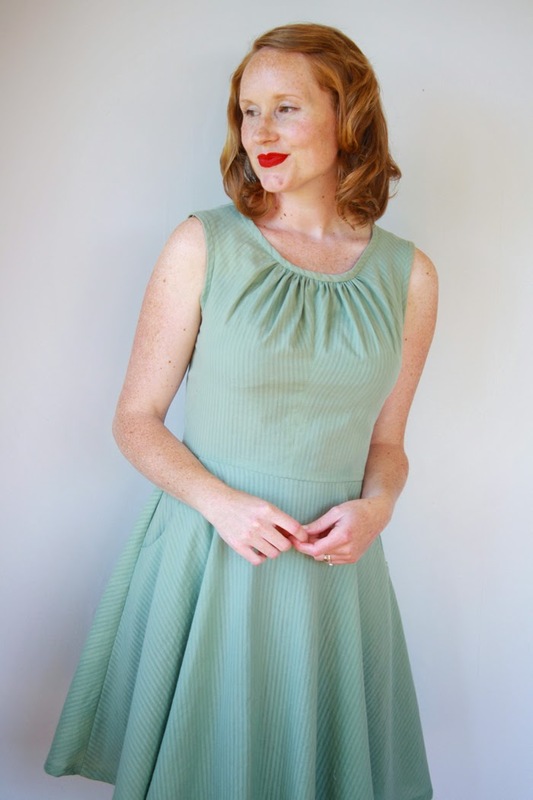 I love the vintage vibe of this dress! Just bought it. It's too cute, and I need a springy thing to get me out of the winter blahs. Can't wait to raid my stash tonight. Oh-my-gosh, it's amazing! I'm haven't done a lot of from-pattern sewing in the last few years, but this has definitely got my wheels spinning. And I'd have just the fabric for it, too! This is beautiful! I love the circle skirt version! Is there an option for lengthening the dress? I think this would be a perfect dress for graduation. 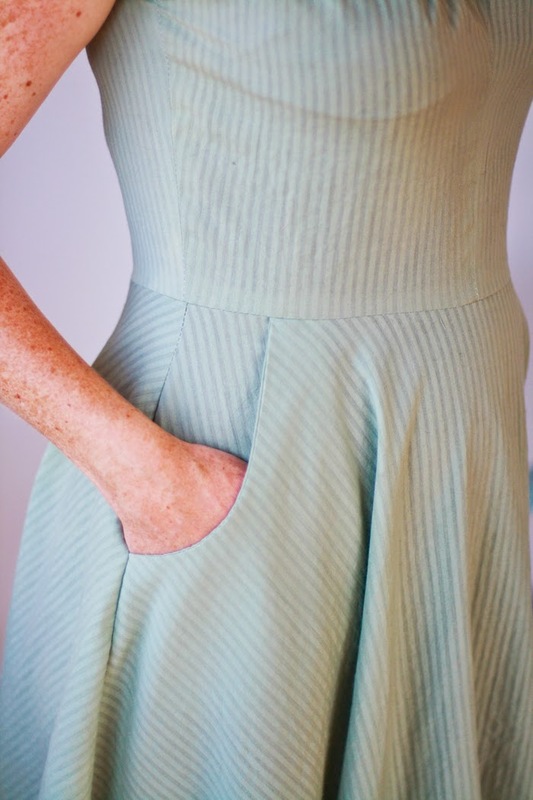 Do you think you may show how to add sleeves ? I absolutely love this dress but don't really wear sleeveless! would that be a pretty easy modification to do? 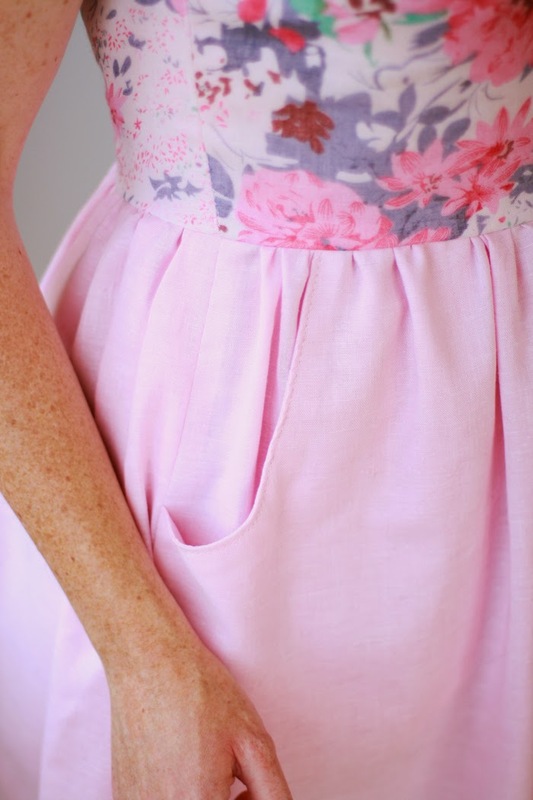 I came here via Mrs Hughes' blog and, since I have a similar body shape, I realllly want to make myself this dress! 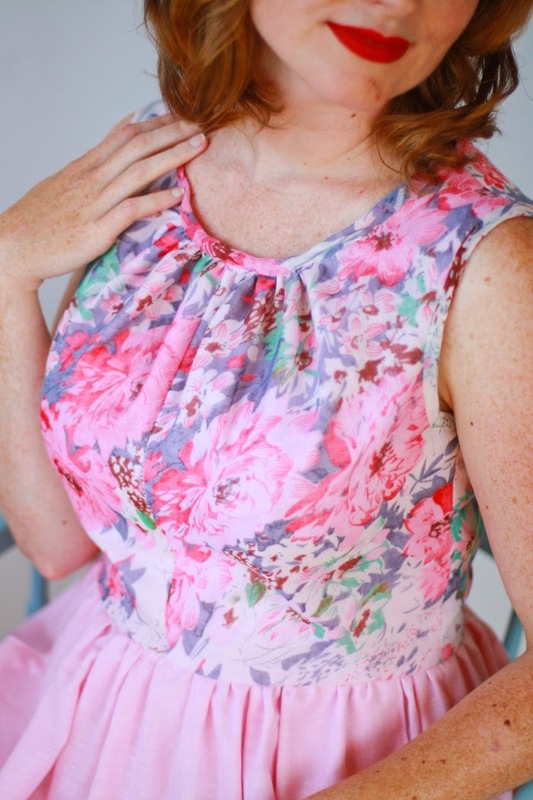 I, too, would never wear a dress without sleeves (Keratosis pilaris ... all over my upper arms, booo!) but I'm nervous about self-drafting sleeves. (I think of myself as an adventurous beginner.) If you add a sleeve option I will be over the moon! Hey MKG - I have started drafting the sleeve pattern, but unfortunately have had to stop for the time being, what with being rather pregnant now, hehe. I hope to have a sleeve pattern for the dress sometime towards the end of the year now though - I'm wondering whether a kimono sleeve might work better than the initial sleeve I've drafted, but we'll just wait and see. I'm so sorry I couldn't get it done any sooner!! 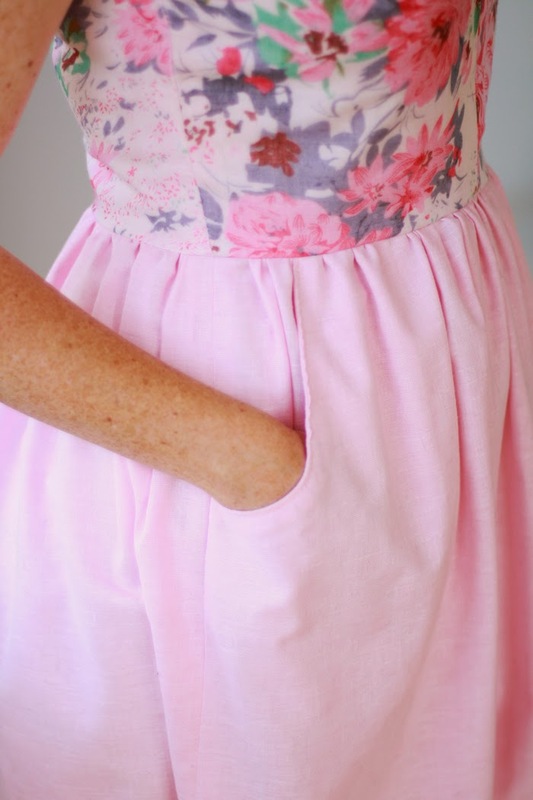 Love those pockets! Very cute pattern. hi, I came here from sewsweetness to see your version, love all of them! Back, oh, about a hundred years ago when I was a young thing I experimented with adding or changing sleeves on patterns. 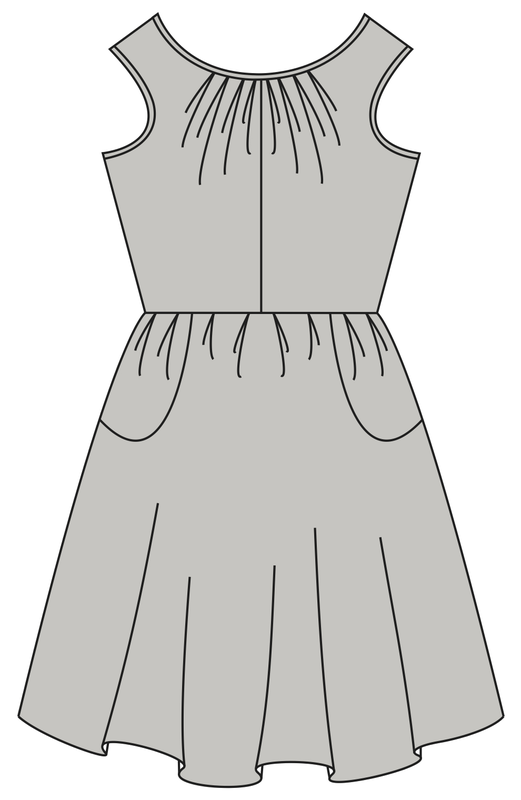 What worked for me was to take the bodice of a "similar" dress (lets call it B) and make a pattern of just the arm scythe (with a few inches into the bodice), pin it to the pattern I wanted to add a sleeve to (call it A) at the position matching shoulder and underarm. Then the sleeve from pattern B would fit pattern A.
I love it! Do you think one could nurse in it if the bias tape were replaced with FOE? Thanks Emily - I'm going to give making it up in a knit a go in a few months time which could possibly work for nursing. In regards to FOE, you could try it but since the gathers are basted, gathered and then tied off first, you might want to try possibly winding your bobbin with elastic, like you would for shirring, so that the FOE would have some chance of stretching. Otherwise the gathers wouldn't stretch, even with the elastic, if that makes sense?